V.K Nanayakkara, former Secretary to Prime Minister and Secretary to many government ministries, has started his book “In Search of a New Sri Lankan Constitution”, launched two weeks ago, with a quotation from Thomas Babington Macaulay, the 19th century British poet, historian, essayist and philosopher. Macaulay has said that “A good constitution is infinitely better than the best despot”. Macaulay had a good reason to uphold a good constitution over a dictator however much he would be merciful to people. A constitution is objective, protects the rights of people, cannot be manipulated according to the whims and fancies of a person in power and can be changed if necessary by following a process of public consultation. A despot in the opposite is subjective, protects his own rights, acts according to his whims and fancies and changes everything on his personal direction and does not think it is necessary to consult even his advisors when introducing changes to constitution or anything in his domain. The despots build up personalised empires like the ancient power seat of Escurial in Span and augment evil in them by wiping out individual differences among regional nationalities and forcing them to get assimilated to a single country. A despot is surrounded by a crowd of people who wear high-flowing but almost indistinguishable badges and titles. There are also people around him who shout the same thing at the top of their voice what has been said thousand times without thinking but just to please the despot. The schools in the despot’s country teach not the new knowledge but what is already known for ages. The whole society faces the danger of a calamity far more terrible than any of the quick, inflammatory, destroying maladies which a nation is normally subject to. These maladies come, writes Macaulay, in the form of making the nation limp in its forward march when others are moving fast; people start talking nonsense and not sensible things thus drying up intellectual discourses; high positions in society are held by those who have aged and become paralytic and therefore unable to perform; those in power become immortal like the ‘Struldbrugs’ in Jonathan Swift’s novel “Gulliver’s Travels” meaning that they age, but never die and are considered legally dead after reaching the age of 80. Though it is necessary for people to ‘unlearn’ what has become obsolete and thereby create conditions for new learning, in despot’s country people do not unlearn what is obsolete and therefore have no capacity to absorb new learning. The most damaging development is that the whole government, education system and life become one grand ceremony which despot endorses and people follow for fear of offending him. In people, knowledge does not improve and experience does not gather, since despot does not endorse any new thinking as it is a threat to his power. Thus, according to this early 19th century essayist, the greatest danger of despotism is that people do not advance their wisdom and it puts an end to the forward march of the civilisation. Macaulay has said that the collapse of both the Roman and Chinese Empires in the Second Millennium has been due to the ill-effects of despotism which they had practiced. A country administered under a good constitution is, on the other hand, the opposite of everything the despotism represents. Nanayakkara could not have found a better quotation to succinctly present the main theme of his book: The future of Sri Lanka crucially depends on a well-crafted constitution. 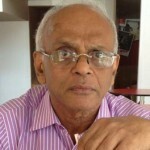 Having taken the readers through constitutional evolution in Sri Lanka from colonial period to the latest 18th Amendment of the 1978 Republican Constitution, Nanayakkara has made a scathing critique of that Constitution and argued how it had been used by the successive governments as a weapon to further their own cause and sustenance rather than working for the common good of the people. With this baggage of misuse of power behind, there is a need for searching for a new constitution in Sri Lanka. And how should that constitution be framed? This is the question which Nanayakkara has sought to answer for his readers in his book. The main deficiency of the 1978 Constitution has been the enormous powers it had given to the Executive President over the other two arms of the State, namely, the legislature and the judiciary. Though all these three branches were supposed to be independent from each other, in actual practice, the enormous powers vested with the Executive Presidency had made the other two branches just subservient to the former. Nanayakkara has argued that there is an “indictment that the Sri Lankan Parliament is a mere captive of the executive”. The executive totally dominates Parliament because there is no difference between the Legislature and the Executive since almost all the government side Parliamentarians today hold executive positions leaving the true legislative functions only to the minority opposition members and a handful of government members who do not even hold a supervisory position in the government. Hence, according to Nanayakkara, “MPs amuse themselves by scoring debating points and hurling abuse at each other across the floor. The executive enjoys the complete control of the time table and the agenda of the House”. His major criticism comes next: “The legislative process has been bent to serve immediate presidential interests and have (sic) often resulted in poorly crafted, stealthily passed laws”. Thus, the President’s hold on parliamentarians is absolute, concludes Nanayakkara. What about the position of the Judiciary? Not very encouraging either. 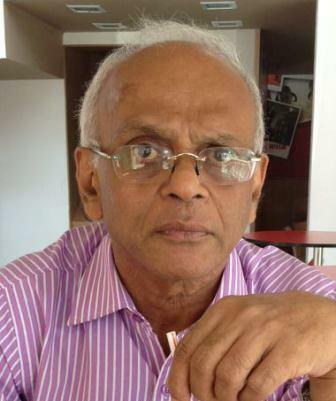 Nanayakkara has argued that in USA and in India which has followed the US system, there is a post legislative review by the Judiciary to assess whether any law passed by the Legislature is within the framework of the provisions of the Constitution and declare that it is null and void if it is a violation. It is in fact a safeguard afforded to the citizens of the country to see that their rights are not violated by the legislators. However, Nanayakkara argues that, “judicial review of legislation is specifically debarred in Sri Lanka as the Constitution takes away every trace of courts’ power to review legislation”. Hence, the Constitution itself has consigned the Judiciary, according to Nanayakkara, to the most dismal position relating to its powers on the other two branches of the State. The unjust face of a law does not become apparent prior to its enactment but later, sometimes many years after. Nanayakkara says that the citizens in Sri Lanka do not have recourse to protection if an injustice surfaces later. What this position tells the citizens is that though Sri Lanka boasts of being a free country with checks and balances introduced in relevant places to prevent misuse of power, in actual practice the whole country is a prison of the executive presidential system. On realisation of the danger of the enormous powers vested with the executive presidency, Nanayakkara says that all the political parties agreed in 2001 to make a marginal improvement to the system by enacting the 17th Amendment to the Constitution. This amendment reduced the President’s absolute powers to some extent by establishing a Constitutional Council which was authorised to approve of the key appointments to be made by the President. But the Constitutional Council became a non-event as argued by Nanayakkara. He says: “When the term of members of Constitutional Council expired in 2005, no effort was made by the political leadership to keep it working. It was impossible to reach a consensus on who should be appointed to CC from outside parliament”. Nanayakkara’s learned conclusion of the ill-fated Constitutional Council is well revealing: “It would appear that the government and the opposition had long wanted to cripple the CC because they had their own agendas. Evidently, the lack of political will to reactivate the CC compromised the independence of key commissions and important public offices making it the country’s most ill-fated constitutional tragedy in current times”. Thus, by making the 17th Amendment non-operational, the country lost even the flimsiest chance of making a marginal improvement to the draconian 1978 Constitution. But the events that followed after 2010 were totally unsavoury and had even degenerated beyond the original frame of the 1978 Constitution. This was the enactment of the 18th Amendment by Sri Lanka’s Parliament by a two third majority. Nanayakkara takes his readers through the road to the 18th Amendment presenting a balanced view to facilitate intelligent readers to make their own inferences. Nanayakkara points out that there was an agreement between the UPFA and JVP during the 2005 Presidential campaign to abolish the “most destructive and harmful” executive presidential system before the end of the term of presidency the position of which the UPFA candidate had sought after at the election. He says that even the policy document of the presidential candidate, Mahinda Chinthana: Towards a new Sri Lanka, voiced similar concerns in 2005. Even in the 2010 presidential election campaign, the UPFA candidate had advocated the abolition of the executive presidency. But, Nanayakkara says that “almost immediately after the victory, the post was made stronger than ever”. The 18th Amendment reversed even the marginal improvements made to the Constitution by way of the 17th Amendment and even went further by abolishing the two term limit that had been imposed on presidents. The Constitutional Council was converted to a Parliamentary Council that could offer only non-binding advice to the President on key appointments; thus, all these appointments could now be made by a President according to his personal choices which could compromise the independence of the key commissions and institutions in the country. According to Nanayakkara, several supporting moves facilitated the enactment of this law. The Cabinet approved of the 18th Amendment despite it was a negation of the good governance and accountability of political leadership established in the 17th Amendment. The Supreme Court which is expected to protect and safeguard the basic framework of the Constitution ruled that the 18th Amendment could be passed by Parliament by only a two-third majority and a referendum was not needed. When a ruling political party has a two-third majority in Parliament, requiring that a law should be passed by two-third majority does not constitute any effective control over the law making powers of ruling legislators. The main opposition, UNP, instead of voicing their protest in Parliament against the bill, decided to boycott the debate thereby allowing the ruling party to have it passed according to their wishes. But now the 18th Amendment is a law, Nanayakkara says that it is “a regressive feature that promotes a narrow spectrum of the interests of a ruling group”. He further says that it gives “an executive president a fair control over the executive, legislative and the judiciary” Here the executive means the Cabinet of Ministers, except the President himself. But as argued by Nanayakkara, since there is no difference between the executive and the legislature today, controlling the executive means the controlling of the legislature as well. Since the independent commissions have been weakened, it has posed a serious threat to the independence of the Judiciary. The reduction of the powers of the Electoral Commission undermines the future free and fair elections. The autonomy of Parliament has been compromised according to Nanayakkara by giving the President the prerogative to address the Parliament and acquiring the full Parliamentary privileges. The main feature of a constitutional government is the existence of institutions of responsibility and accountability. But with the 18th Amendment, these institutions have been weakened and brought under the control of the party in power, and more specifically the President in power. Thus, Nanayakkara has implied that the difference between dictatorship and constitutional government is no more there. His blueprint for a new constitution is therefore framed in this background: Regain the lost sovereignty of people in the true sense of democracy. Which type of regime suits Sri Lanka most? Nanayakkara does not give a direct answer to this question. Instead, he presents the ongoing debate on different systems like full presidentailism (the president is most powerful), Parliamentary system (the Parliament is most powerful), a combination of both (a hybrid system), and so on. He cannot make as an independent analyst a concrete recommendation since all these systems have their own pluses and minuses. However, Nanayakkara is emphatic on the democratic framework that has to be established in the country. He has listed all important democratic principles which should be upheld in a new constitution. Among them, the ones which are more relevant to Sri Lanka’s current situation are the observance of the Rule of Law, protection of human rights, the separation of powers among the three arms of the State and the holding of free and fair elections. He has emphasised on the need for access to information, freedom of thought and freedom of expression as fundamental pillars of democracy. Hence, the official secrecy law, a legacy of the colonial era, has to go out in a new constitution. Nanayakkara has then presented the case for a third republic in Sri Lanka. With all the underlying deficiencies of the second republic now in force, it is not difficult to imagine what it should look like. Since a good constitution is infinitely better than the best despot, as argued by Thomas Babington Macaulay, all efforts should be made to tame the despotism that has now crept to the 1978 Constitution by creating an all powerful presidency. Nanayakkara has said that even the incumbent President has endorsed this in his election manifesto, Mahinda Chinthana and assumes that there is no difficulty in marshalling political support to attain that goal. This however means that the executive president should agree to sacrifice the enormous powers he is presently enjoying and only person of magnanimous disposition, like the Emperor Asoka who ruled India in the 3rd century BCE choosing Dharma over warpath as the rule of the government, could deliver this to Sri Lankans. Sri Lanka’s despot – Mahinda Rajapakse must be impeached along with his brothers for lies, corruption, and running a Kangaroo court bringing harm and disrepute to the sovereign people, the judiciary and legislature of Sri Lanka in the form of the PSC. Time to hold the despot accountable and impeach the despot and hold him and his family accountable and end the immunity and impunity of the regime. What about an improved version of the aborted 2000 Constitution? Many congratulations to Mr. V.K. Nanayakkara on this important venture. Seosoned, intelligent people like him with a wealth of knowledge should share their ideas and vision with the rest of the community. Hope the book will be out in print soon. Many thanks to the writer of this important article for the preview. This article should be tranlated in to Sinhalese and carried in a newspaper. All the best to the authour of the book and the article! I hope both V . K. Nanayakkara and Wijewardana have seen or read the booklet written in Sinhala by the Sarvodaya boss Ariyaratne in the 1980s on the topic of power pyramid and the Dharmic Cycle. Just like NM Perera, Ariayaratne also found how bad was JRJ’s bahubootha constitution (Chandrika’s words), and gave a very good alternative. The village-level empowerment of people must be the key in any new approach and it must be based on ecologically demarcated boundaries. Have these two seen the Seven River Basin Region based division, of Sri Lanka, first presented by Geography prof. Madduma Bandara. I think VKN also was a geography special graduate? I submitted to LLRC a proposal to operationalize both concepts of village level empowerment and ecology-based admin units, Language-blind units must be the only solution to prevent Tamil Nad capturing Sri Lanka via Tamil separatists. There is no doubt that far reaching changes are required to change the negative asspects of the constitution. However this can be done only within a democratic framework. So first there has to be the gradual turning down of rhetoric by the govt and withdrawal of 18A. Secondly there should amendments to the elections act to prevent cross overs and buying over of legislators. There should also be strict enforcement of the decleration of assets and accountability to prevent corrupt practices. Thirdly there can be a constitutional committee or forum consisting of legislators, judiciary and the general public including emminent persons and intellectuals to discuss at length and report on what needs to be done to improve the constitution to safeguard the rights of the common people. Mr. V. K. Nanayakkara’s academic exercise is a contribution of the civilized towards a civilization. But can even that constitution prevent undesirables from getting into the seats of power? Take the precedents established in the Sri Lankan Parliament and the Singaporean Parliament. The first speaker under the Donoughmore constitution lost his seat resulting from being a co-respondent in a divorce case and the subsequent events made him to go to prison. Thereafter he became the first speaker under the Soulbury constitution. In Singapore, the speaker resigned not only from his post, but from the Parliament and the political party as well upon the admission of an extra-marital affair. Previously, another opposition MP was sacked from the party and consequently the removal from the Parliamentary seat because of alleged extra-marital affairs. This country cannot be the wonder of say Asia, leave alone the whole world if we are unable to set the tone and the standard. A Constitution of the type Mr Nanayakkara describes has been in existence for the past 10 years or more. It is called the ‘Mahajana Viyawastawa’. Do a Google search to obtain more information. There is an Asian Tribune article that provides an overview. The Mahajana Viyawastawa itself is too long for casual readers. If anyone need it, please contact me at pvjdes@gmail.com. what a great topic to discuss at this critical time in sri lanka where democracy is turning into an autocracy. i want to find this book and read to see how the author describes and interprets the present havoc in the system. this type of high-level research is indeed necessary to see how we can roll the ball towards a better sri lanka devoid of despots. I think he should first secure human rights and democracy of his own grand son who lives in Australia before talking about democracy of everyone else.In Sri Lanka we call this as “Wadi Bana”.